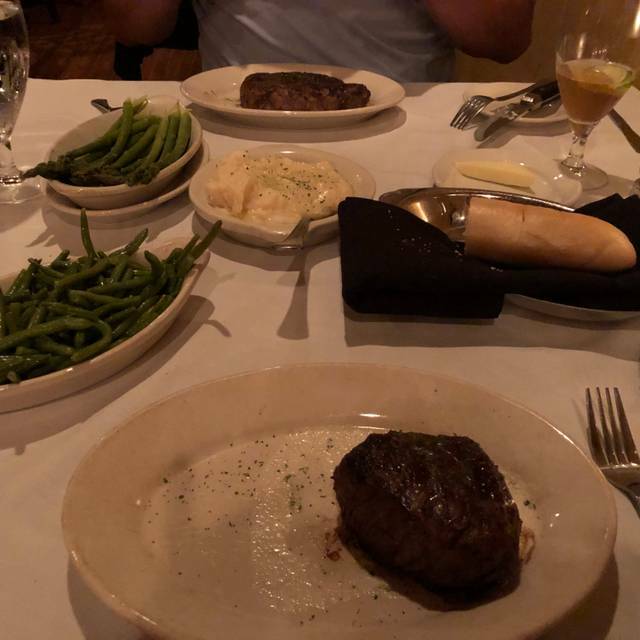 You must make reservations at least 5 minutes in advance of the time at Myron's Prime Steak House. Parking is available on the street, and a private lot. Signs direct you to parking. Additional parking is available at Tunnell Insurance. Myron"s Prime Steak House is on location in the old Palace Movie Theatre in historic downtown New Braunfels. We are open nightly, giving top billing to Chicago prime beef, the top 2% of all prime beef in the United States. A full bar as well as an extensive wine list featuring wines by the glass and by the bottle are available. 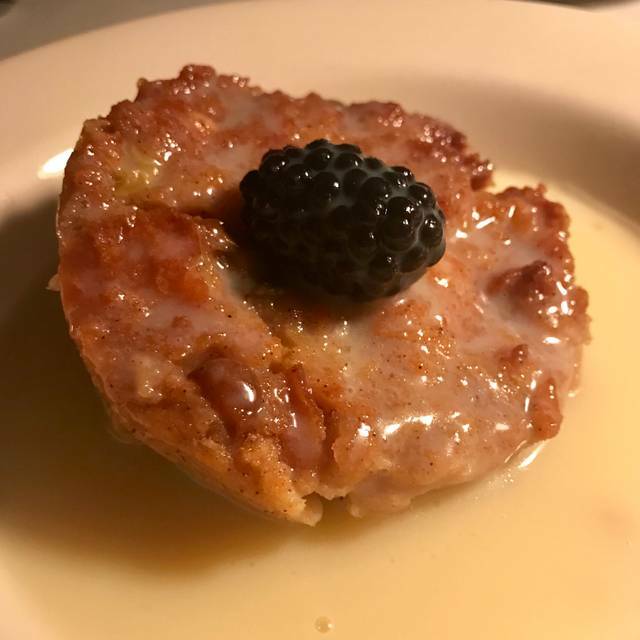 Owner Bill Been, known to most for his 33 years of restaurant experience in San Antonio, has created a casual but elegant dining experience and invites you to come to Myron's, and enjoy! Wonderful dining experience. Our server was Laurie; she was very attentive. The food was perfect. Thank you. Great Easter dinner with the family! A wonderful meal with attentive service that is typical of an evening at Myron’s. 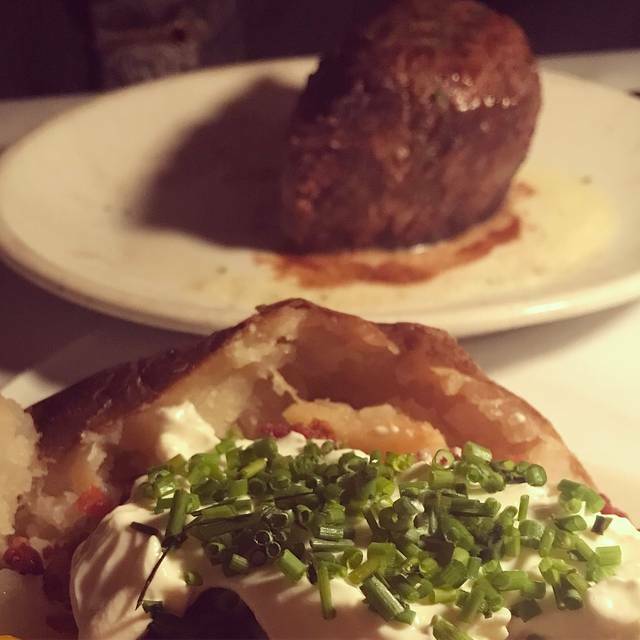 We each had a small filet and we split the jalapeno mac-n-cheese. Both were AMAZING. Kelly was our server and he was great. He always takes the time to visit with us and makes sure we have a great experience. Myron's is our go to place for special occasions. Our server, Kevin, was great, the food was great and the BOGO coupon we had was fantastic! We love Myron's! The food was great, but the place was loud. The kitchen was open-air which means you hear everything that's going on. The restaurant has high ceilings and tile floors so ambient sound bounces around the room. Overall, it is a great restaurant. The ambiance could use some work. We come here several times a year. This visit was a miss. I much prefer the quiet romance of the original dining room but we were seated in the expanded addition which is noisy and has too much lighting. The food took a long time to come out and my Kansas City strip was rare - I had to send it back. They also dropped our leftover potatoes we asked to have boxed up. To be fair, they didn’t charge for my steak and they brought us two new containers of to-go sides to make up for it. Also, our waiter Sean (or is it Shawn?) was outstanding despite working his tail off in the crowded dining room. We’ll go back, and next time we’ll ask for the other dining room. We celebrated husband's birthday here, and though we rarely spend $$$$ on meals, this one was worth it. 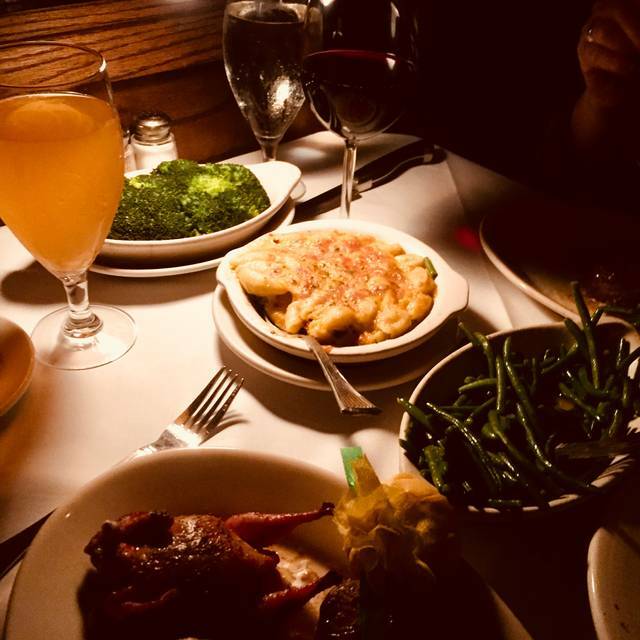 We enjoyed the surf and turf special, buttery, tender lobster with a 32 oz ribeye, side orders of garlic potatoes (fabulously creamy and flavorful) and the house specialty jalapeño Mac n' cheese (nothing like what your mom made). Chocolate cake was moist and rich, provided by the house for the birthday boy. I love love love Myrons. It is my first choice when going out. The owners, managers, wait staff, bar staff and of course, the chefs/cooks are great! Beautiful setting. Out standing food. Our server was very attentive and friendly. My only complaint is that I felt rushed. Our seating was good, the servers settled us in quickly and brought us water immediately, which I consider appropriate. We were asked about our drink order with our server helping me choose a wine which was much appreciated. Our server told about the specials which sounded delicious. It was then that I started feeling rushed. The pace of the request for our order was quick, the salads came out immediately and the entree followed immediately as we were finishing them. There was little time to just relax and enjoy the experience. Tuna appetizer was excellent as always. My filet was perfect, but my husband did not find his ribeye to be tasty. Also, he does not like the new potatoes au gratin recipe. Service was exceptionally good; sorry, I forgot to make a note of the server's name. I like the parmesan truffle shoestrings, but I still wish they would bring back the julienne fries. The ambiance is great for a romantic date. Dimly lit and comfortable. Absolutely amazing steaks. Wasn't a big fan of their lobster bisque though. We had a business dinner and was more than impressed with the high level of service and amazing quality of the food. I look forward to returning. We always get a booth because it is quiter there but due to a louder table not so quiet. Did not let it ruin our dinner. As soon many have committed on need a little more light to read the menu. Decor was nice and waiter was very attentive. Food was overpriced and tasteless!! My husband was so excited to taste his $56 steak and ended up leaving half of it. He said he should have asked for A1 sauce. It was our anniversary and I noted that when I made the reservation. They sat us near the bar area which was very loud as they were watching sports and cheering and yelling. They also sat two women next to us who conversed so loudly that we could not hear each other speaking. They were talking loudly about many things; the most memorable being the consistency of her dogs stool since changing to a new pet food!!!! It was horrible. We couldn’t wait to get out of there. Great place for your Special occasion! Best steak in the area! The prices are extremely high. The steaks were tender, but not much flavor. My husband's rack of lamb, which he looks forward to all year, was very tough and full of gristle. And, $26 for two cocktails is NY pricing, not New Braunfels. My ribeye steak was awful. Probably the toughest piece of meat I’ve ever experienced. One of the most enjoyable steakhouse I have ever been to! Had to use the flashlight on my phone in order to read the menu. Need another 20 Watts in the light bulb. Noise level was to high. Could have been the party to our left celebrating a birthday. Maybe a little too much?.? Used to be I could enjoy dinner with my wife but on Saturday noise level made it hard to talk across the table. Food was good but not as flavorful as in the past. Wedge salad was excellent. 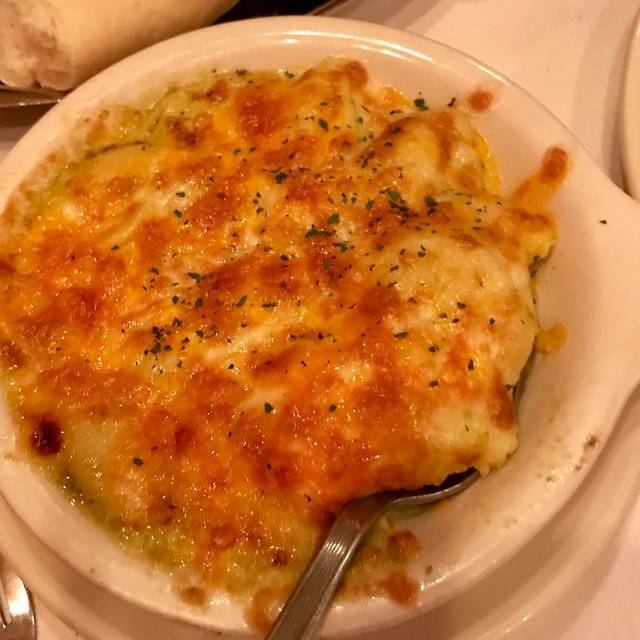 Still one day of the best restaurants in New Braunfels. My husband and I always loving our dining experience at Myron’s. Friendly staff, delicious food and a fabulous wine menu. It was our first time at Myron’s. We had a wonderful time. Food was delicious and the service was great. We will be back. Wish you were open for lunch. It was our 10th wedding anniversary and had a wonderful dinner. Service was on point, wine was good, dessert was fantastic, overall we had a great time. The plates were to small for the food, did not have the wine we ask for and they pretend to sell me a lower quality wine but a the same price. Great experience and food was amazing! We will be back. Great as always. Only think I would like to see is a salted Carmel cheesecake. Service was incredibly slow and our food was undercooked and cold. For the price, I would not return to this steakhouse. I am a good cook and overly critical I expect. Shrimp were slightly tough. Steak was excellent. Broccoli was slightly over done, but tasty. 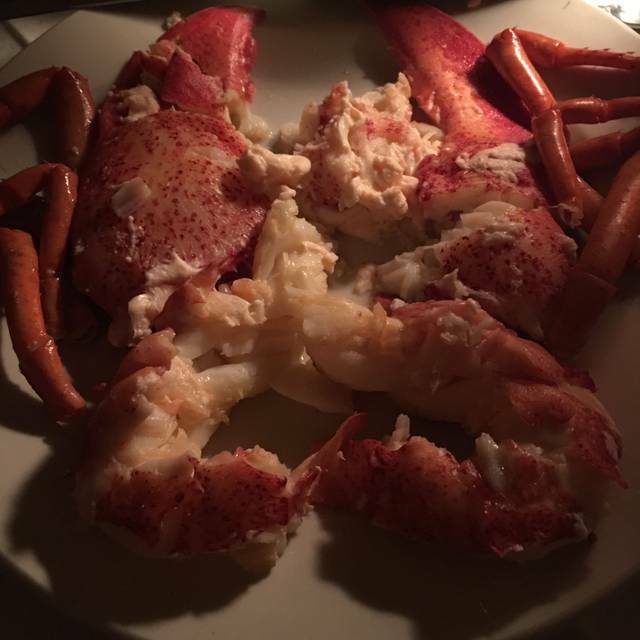 Lobster was over seasoned; leave a good thing alone and not Cajun seasoned. Overall we love Myrons and will be back. Love the awesome service we get from everyone...front and back of the house!! The jalapeño Mac n cheese is one of my house faves! Our server Damon provided great service checking in to make sure we had our drinks and asking about our meal. Food was excellent, service fantastic and a wonderful atmosphere! Food is always consistent. Delicious! Fantastic food, friendly service. Lighting could have been a little brighter. We had a wonderful experience. Service was outstanding! Food was well-prepared and of exceptional quality. We had lobster bisque, escargot, rack of lamb, and the mixed grill. 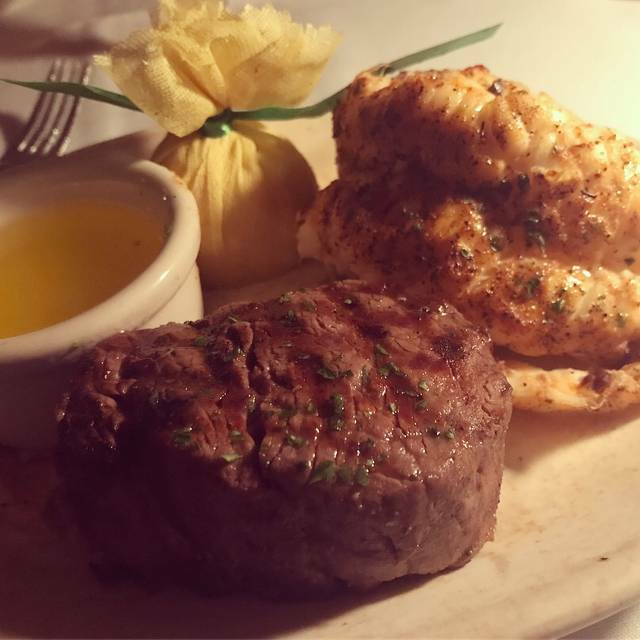 The only reason I rated the food 4 stars is because the filet medallion on the mixed grill was overcooked and somewhat lacking in flavor. Everything else was flawless. Would definitely return and highly recommend! Great Birthday dinner! Wonderful food & service!